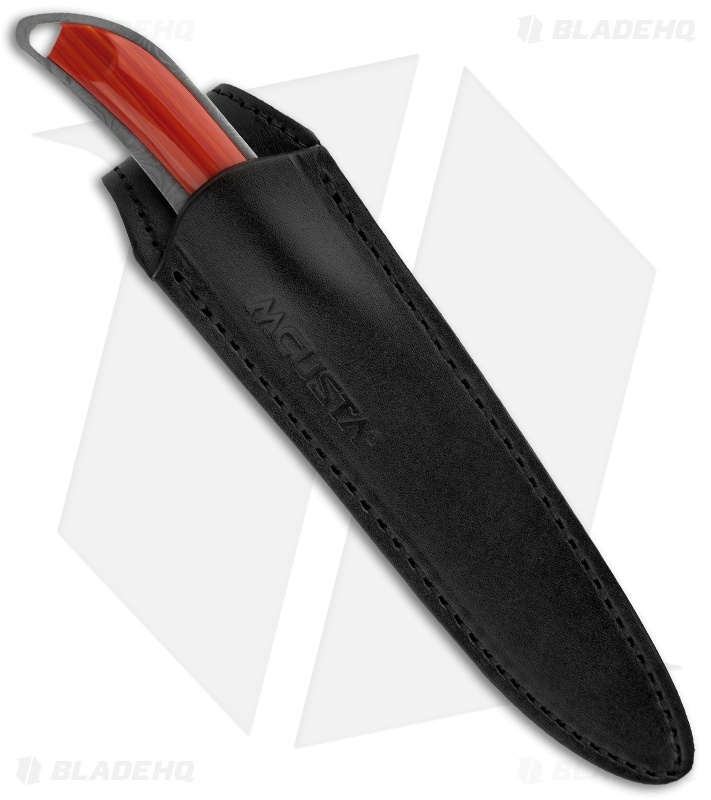 The MC-6 Series is the first fixed blade from Mcusta. 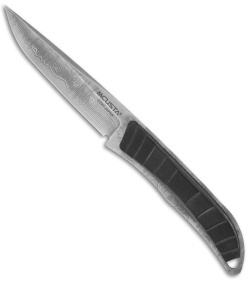 It's a featherweight, slim line, all-purpose utility knife suitable for trout and bird hunters. The blade and handle are one-piece construction of VG-10 core forged with 33 layered nickel Damascus stainless steel. The handle is grooved and inlaid with black Micarta slabs. Each knife comes with black leather sheath. MCUSTA Knives are true masterpieces combining traditional Japanese elements and craftsmanship with modern cutting-edge technology to create a "user friendly" knife that is beautiful, unique and functional.